In case you didn’t know, PMA is going on in Vegas right now and I wish I were there. This weather is getting ridiculous. 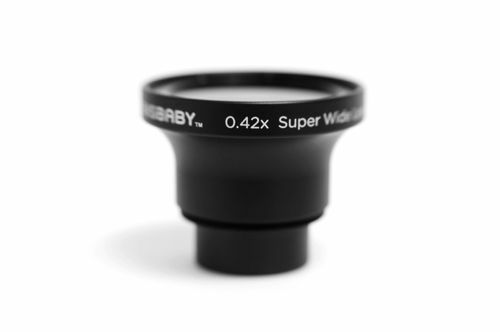 Anyway, Lensbaby announced their new 0.42x Super Wide Lens attachment that works with the recently announced Composer, Muse, and Control Freak fixed focus lenses. So what’s so special about this thing? Well, it converts Lensbaby optics from a 50mm focal length to a 21mm focal length, which is pretty cool. It’s available now for $80. Double Glass, Single Glass, Plastic, and Pinhole/Zone plate interchangeable optics. optics from a 50mm focal length to an ultra-wide 21mm focal length. without requiring a locking mechanism and is compatible with the new Lensbaby Optic Swap System.